Born in St. Petersburg, Florida in 1946, I have three brothers, two older, one younger. The baby brother, Paul, is a certifiable genius. Machinist, inventor, smart dude. My oldest brother, Pete, can weld anything to anything and is an accomplished gunsmith. My brother Warren lives in South Carolina where he builds and repairs computers for a nationwide ministry. All four of us are pretty clever. Inventors. Thinkers. Thanks, dad. As a young man I was a competition roller skater and a self taught archer, achieving professional skating instructor status in the former and winning seven Florida State Archery Championships in the later. 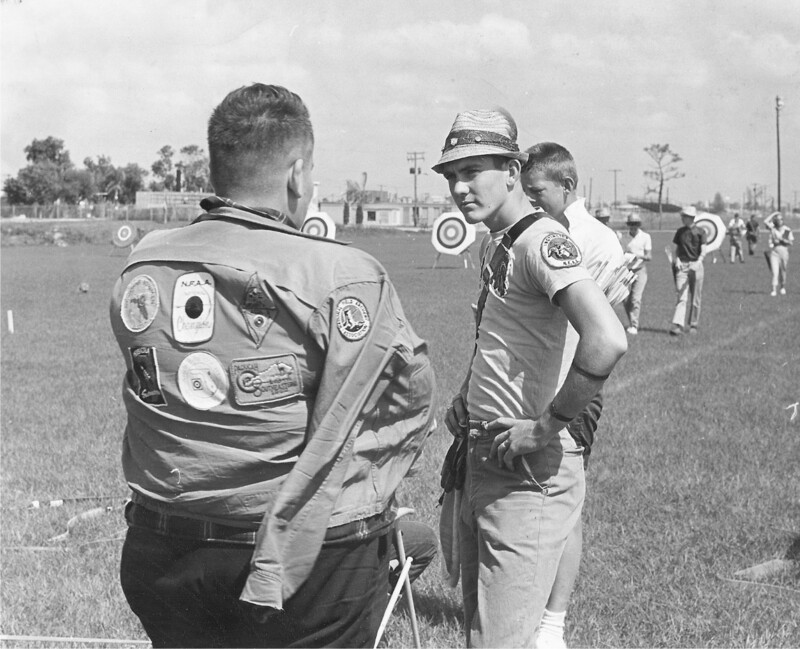 In the picture below, taken in Clearwater, FL in 1965, I am listening to a lame excuse from Paul Bemis, a competitor who was at that time the U.S. National Archery Champion. Paul is explaining his broken arm. Awwwwwhh. Born legally deaf, I was exempted from military service. Early in my working career, I cleaned floors. My forty year career in the sign/graphics industry began when a grocery store manager where I was cleaning floors, asked me to make a sign for a store display. I said “yes sir!”, and the rest, as they say, is history. I opened my first sign company in Dothan, Alabama. It failed miserably. I moved to Tallahassee, Florida in the very early ’80s to take a job painting billboards for Lamar Outdoor. In 1983, I opened SignPrinters. “A man that finds a wife, finds a good thing” My sign shop in Alabama was a terrible failure. I was new at business and unprepared for what I faced. 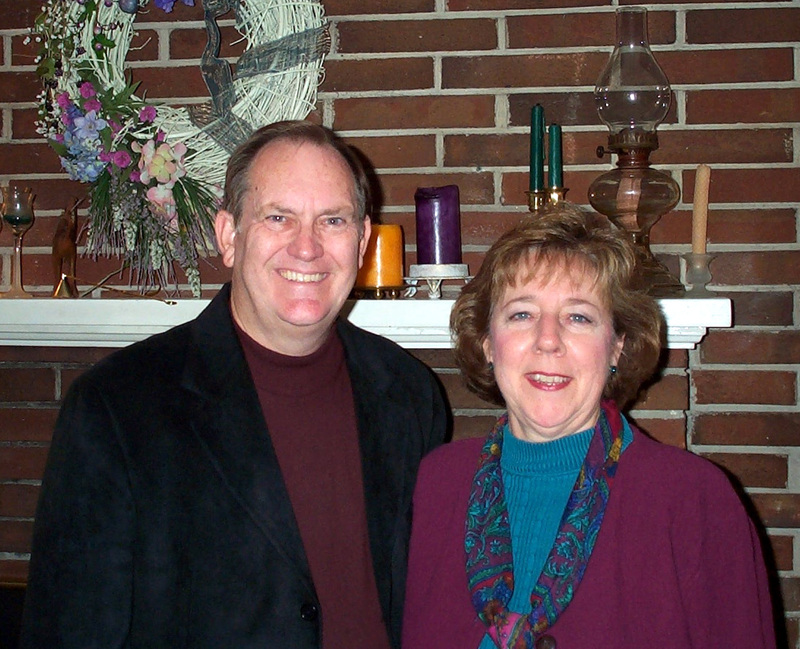 My move to Tallahassee, Florida, and the opening of SignPrinters coincided perfectly with meeting my wife, Carolyn. Married since 1984, we make a great team. I never made a dime’s profit in the sign business before Carolyn (BC). 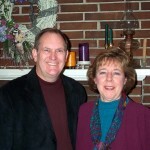 I owe all my success in business to her love for me, and her patience with “the Visionary”. She is, without a doubt, the most important person in my life. (Carolyn passed away April 15, 2016, after a 3 year battle with Ovarian Cancer). Family History – My father, Capt. 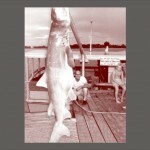 Floyd M. Pippenger Jr., spent over 50 years as a deep sea fishing captain. His father, my grandpa “Pip”, was also a boat captain. My father was determined that none of his sons would lead the harsh life of fishermen. None did. My brothers are all machinists and welders, while I chose the sign business. We all like to think our dad is “the world’s greatest”, me too. 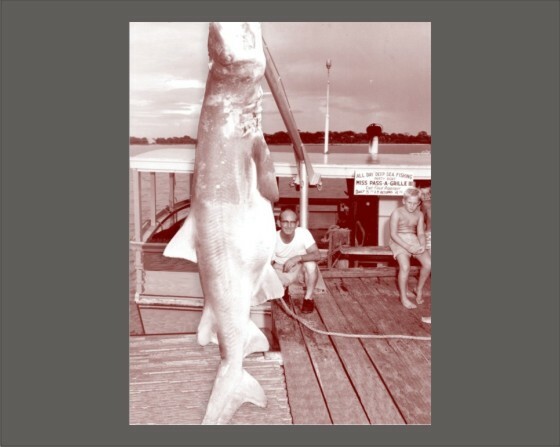 Below is a picture of my dad with a 14′ shark he caught from the Gulf of Mexico. Instead of spankings he would just show us this picture. We got the message. My mother was Carolyn Louise Pursley. She of the famous Pursleys of New York. The Pursleys were directly related to the Truaxes of Albany, New York. Truaxes were among the original settlers of Manhattan Island.